Amazing sound-reactive LED installations for guitar pedalboards. 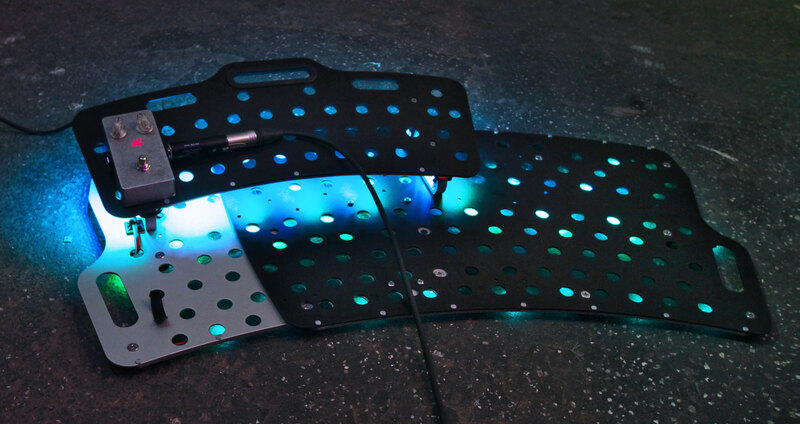 ‍Sound-reactive LEDs integrated underneath a Holeyboard Dragonfly commissioned by an Audiolux Customer. 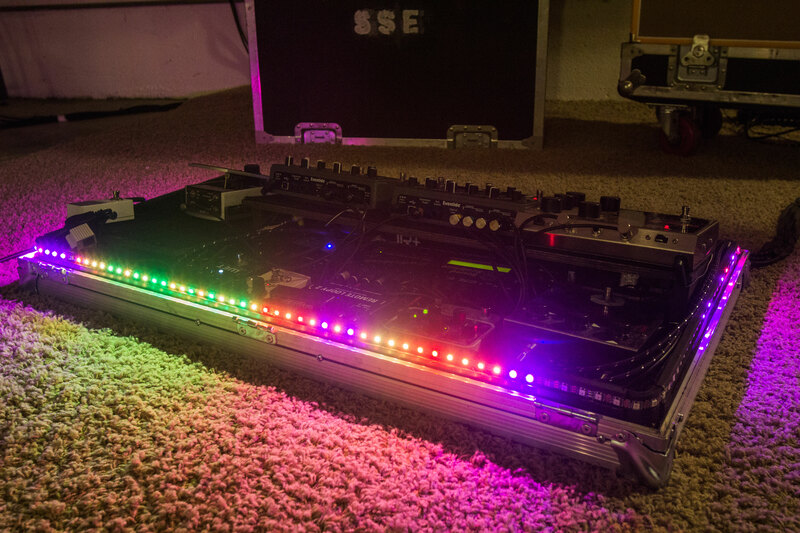 Small perimeter of addressable LEDs underneath this popular Pedaltrain Novotrain board. LEDs on an outside perimeter.